Don’t be sad that the Olympic hockey tournaments are gone. Instead, remember the fun we had. That brings our full attention back to the NHL, and not a moment too soon: today’s half-dozen games are the final fixtures before tomorrow’s trade deadline. Here’s hoping your favorite player is still on your team’s roster by tomorrow’s puck drop! Today’s schedule gets underway at noon with St. Louis at Nashville (NBC/TVAS), followed by Boston at Buffalo (SN360) five hours later and Detroit at the New York Rangers (NHLN) at 7:30 p.m. Two games drop the puck at 8 p.m. (Edmonton at Anaheim [SN] and San Jose at Minnesota), followed by tonight’s nightcap – Vancouver at Arizona – at 9:30 p.m. All times Eastern. St. Louis at Nashville: It’s a rematch of one of last year’s Western Conference Semifinals! The Predators won that series in six games. Boston at Buffalo: This rivalry has died down with the decline of the Sabres, but perhaps there’s a surprise in store today. Detroit at New York: Not only is this an Original Six rivalry, but the Rangers are retiring C Jean Ratelle‘s 19. Edmonton at Anaheim: The other 2017 Western Semifinal is also being revisited today. The Ducks needed all seven games to beat the Oil. There have been few like Ratelle, so let’s make the trip to Manhattan to ensure his sweater ends up where it rightfully belongs: in the Madison Square Garden rafters. Ratelle played his first NHL game during the 1960-’61 season following three successful campaigns with the Guelph Biltmore Mad Hatters/Guelph Royals, the Rangers’ OHA farm team before the creation of the NHL Entry Draft. After suffering and recovering from a back injury during the 1963-’64, Ratelle earned a permanent spot on the Blueshirts’ roster a season later – and he never looked back. In 54 games, he scored decent 14-21-35 totals, followed by even better 21-30-51 marks in 1965-’66. Those are decent numbers, but nothing really worth retiring a sweater over. That all changed during the 1967-’68 campaign. Entering the season with only 139 points in 259 games played for his career, 27-year-old Ratelle registered a whopping 32-46-78 performance, starting a run of six-consecutive 70+ point seasons and 13-consecutive 67+ point seasons. During the 1970-’71 season, Ratelle finally had the opportunity to start his trophy case. After posting 26-46-72 marks, he was awarded the Masterton Trophy for his impressive production paired with taking only 14 penalty minutes. That is a theme that followed Ratelle throughout his career, as we’ll discuss in a moment. That recognition apparently did a lot to motivate Ratelle, because his 1971-’72 season was by far his best season as a Ranger and in the NHL. In only 63 games, he posted a career-high 46 goals and 109 points. For those astute at math, you probably realized that Ratelle averaged 1.73 points per game, or seven points every four games. By comparison, Tampa Bay Lightning RW Nikita Kucherov is averaging a league-leading 1.32 points per game this season. Yeah, Ratelle was pretty darn good. As would be expected, that effort earned a few more accolades, most notably his lone listing as a season-ending All-Star team – he was the second team’s center. Ratelle also brought home the Pearson Award (now known as the Lindsay Award) and his first Lady Byng Trophy. Ratelle had one last 100-point season up his sleeve, but in a bizarre twist of fate it was in 1975-’76, the year he was traded to Boston with D Brad Park and D Joe Zanussi for C Phil Esposito and D Carol Vadnais. Ratelle departed the Big Apple having registered 5-10-15 totals through 13 games. Upon arriving in Beantown, he exploded for 31-59-90 marks (36-69-105 season totals). His success through the difficult circumstances paired with committing only 18 penalty minutes earned him his second Byng. Speaking once again of the Byng Trophy, there is one award that alluded Ratelle throughout this 21-year NHL career: the Stanley Cup. Whether with New York or Boston, he qualified for the playoffs 15 consecutive times, advancing to the Finals thrice (1972, ’77-’78). However, all three times ended in disappointment. But rings aren’t what makes a player great. His achievements on the ice indicated greatness, as did his ability to it while also being one of the game’s true gentlemen. Tonight, the Rangers will honor Ratelle’s impact on the franchise and the game by officially retiring his 19 alongside their eight other previously retired sweater already hanging in Madison Square Garden. He joins another another 19 already hanging in The World’s Most Famous Arena: that of Willis Reed Jr. of New York Knickerbocker lore. Reed led the Knicks to both of their two NBA championships (1970, ’73), earning the Finals MVP award both times. There’s no doubt that the Rangers’ hoisting Ratelle’s sweater is an honor by the entire franchise, but can these 27-30-5 Blueshirts, who occupy last place in the Metropolitan Division, honor him with their play? It doesn’t seem likely, given the fact that they’re riding a six-game losing skid. There’s little good that can be said about New York’s effort lately, but the Rangers’ play in their defensive end has left much to be desired. Even with the play of F J.T. Miller and W Mats Zuccarello (both with a team-leading four takeaways since February 13), W Cody McLeod (4.4 hits per game in his last five showings), D Rob O’Gara (averaging two blocks per game since joining the Rangers), New York has allowed 35.33 shots against per game during this losing skid, the sixth-worst mark in the NHL in that time. That’s put a lot of pressure on 23-21-4 G Henrik Lundqvist, and he just hasn’t been able to steal enough victories behind this team this season. In his last four starts, Lundqvist has managed an uncharacteristic .859 save percentage for a 4.77 GAA, pulling his season marks down to .914 and 2.89. Put Lundqvist’s struggles with a porous defense, and you get a Rangers team that has allowed 4.33 goals per game since February 13 – far and away the worst mark in the league in that time. Turning our attention to the 25-26-10 Red Wings, we find a team currently in fifth place in the Atlantic Division coming off a 1-2-1 home stand. Over that run, Detroit actually played some decent defense to earn its three points. Led by the solid efforts of W Justin Abdelkader (3.8 hits per game since February 18) and D Danny DeKeyser (2.8 blocks per game during the home stand), the Wings have allowed only 30.5 shots to reach 17-19-7 G Jimmy Howard per game, and he’s reacted very well to the limited workload to post a cool .92 save percentage and 2.31 GAA. That strong play has improved Howard’s season marks to a .911 save percentage and 2.8 GAA. Between the Wings’ defense and Howard’s effort, Detroit has allowed only 2.5 goals per game in its last four showings – the (t)10th-best effort since February 18. Tonight’s game is the finale of the three-game season series between these clubs, and it’s an important one considering either side has earned three point against the other. New York won the first meeting at Madison Square Garden on Black Friday 2-1 in overtime (Zuccarello provided the game-winning goal only 37 seconds into overtime), but the Wings leveled the series December 29 by defending Little Caesars Arena to a 3-2 shootout victory (F Andreas Athanasiou took First Star honors for his eight-shot, one-goal performance). If the Rangers need an example of how to play defense, they’ll get a decent one tonight. With that in mind, I think the Wings can pull off the road victory at MSG. Thanks to Kirill Kaprizov’s game-winning goal to complete his four-point night, the Olympic Athletes from Russia’s men’s hockey team won the Olympic gold medal by beating Germany 4-3 at Gangneung Hockey Centre. Germany almost escaped from the first period tied at 0-0, but Slava Voynov (Nikita Gusev and Kaprizov) ruined that opportunity with half a second remaining before the intermission. Voynov roofed a wrist shot over G Danny aus den Birken’s right shoulder to give the OAR the lead. A misplayed puck got Germany right back into the game. Driving towards the goal line, Felix Fchutz (Brooks Macek and Patrick Hager) flipped a puck towards G Vasily Koschechkin with little more than a prayer of if finding the back of the net. However, Koshechkin let the puck bounce off his arm and fall into the crease, where it eventually rolled across the red line to level the game at 1-1 at the 9:32 mark of the frame. Tied through the second intermission, the OAR reclaimed the lead with 6:39 remaining in regulation courtesy of a goal from Gusev (Kaprizov and Pavel Datsyuk), but that advantage lasted only 10 seconds before Dominik Kahun (Frank Mauer and Yasin Ehliz) tied the game once again at 2-2. Germany claimed its first (and only) lead of the championship game with 3:16 remaining in regulation when Jonas Muller (Ehliz and Frank Hordler) beat Koshechkin, but an uninformed dump by the Germans while they were on the power play led to Gusev (Artyom Zub and Kaprizov) scoring a shorthanded, but even-strength with Koshechkin off the ice for the extra attacker, goal. Overtime lasted 9:40 before Kaprizov (Gusev and Voynov) took advantage of a Patrick Reimer high sticking penalty to score the medal-winning goal. Koshechkin saved 22-of-25 shots faced (.88 save percentage) to earn the victory, leaving the overtime loss to aus den Birken, who saved a solid 26-of-30 (.867). After that result in the DtFR Game of the Day, home teams in the DtFR Game of the Day now have a 21-point advantage over the roadies with their 73-46-18 record. The Holiday Break has come and gone, which brings us closer to the midway point of the season. Last week’s action was exciting to say the least, with many hot teams continuing their success. In this week’s Down the Frozen River Power Rankings, we’re bringing you a Christmas Edition. Just as Santa would do this time of year, we have divided our top (and bottom) teams into two categories. So, who got coal this year and who hit the jackpot? The Devils are definitely at the top of the “Nice List,” as they have won seven of their last 10, while streaking through their past five games. Many questioned the early success of New Jersey, but they are proving they can sustain success with a more than capable offense. Their next game is tomorrow night against Buffalo. The Golden Knights are right with the Devils, as they have also won their last five games. The mysterious wonders continues to tear through their schedule, as they push closer to the playoffs. Last night, they defeated Anaheim 4-1, with a great performance from Malcolm Subban. It sure won’t be a Silent Night in Los Angeles tonight, as the Golden Knights look to continue their winning ways. This week’s Power Rankings might just consist of teams that have won five straight games. Jokes aside, the Bruins are deserving of this accolade. They have gone 8-1-1 in their last 10 games, making up a lot of ground in the Atlantic Division. They are currently tied with Toronto for second place in the division. Boston will take on the Washington Capitals this evening. The Oilers have been playing a roller-coaster of a season to this point. While last night’s game against Winnipeg didn’t go according to plan, they still earn themselves a free pass. 6-4-0 in their last 10 games isn’t too shabby for a team that looked completely out of the playoff picture just a short while ago. Edmonton has given themselves a better opportunity, but they need to go out and earn it. It’s odd to see a team that is 9-1-0 in their last 10 being at the bottom of our Power Rankings, but that just goes to show how well other teams have performed. The Lightning are still ahead of the competition, as they lead the Presidents’ Trophy race by four points. You hate to kick a team while they’re down, but let’s just get on with it. The Coyotes are at the top of our “Naughty List” for fairly obvious reasons. Nearing the end of December, Arizona has just 23 points and are clearly out of the postseason mix. You hope that this organization will eventually turn the corner, but it won’t be this season. Losing the biggest trade of the year, rumors of relocating the club, only two wins in their last 10 games; what else could possible bring down the Senators? Ottawa appeared to be loading up for a big run after acquiring Matt Duchene from Colorado, but they have gone completely downhill. They continued their slump yesterday evening, as they were downed 5-1 by Boston. This team should be better, but with lackluster offense and an aging starting goaltender, Ottawa may need to rethink their approach to the future. On paper, the Sabres should be a solid team. On ice, it is a different story. Last night, Buffalo was able to slow the red-hot offense of the Islanders, but they still lost 3-2 in overtime. That drops them to 3-3-4 in their last 10. Although not mathematically eliminated, Buffalo is way out of the playoff race. You may see this club make a few key deals closer to the trade deadline. The Canucks appeared much improved from just a season ago, but their past has reared its ugly head. Brock Boeser has been a big success, but there are many other flaws in their armor. Daniel Sedin and Henrik Sedin can’t put up points like they used to and the rest of their offense hasn’t been executing. Although Vancouver is just six points out of a Wild Card position, they would need a huge boost to get there. Last, but certainly not least, the Detroit Red Wings. Honestly, Ken Holland is the last person I would want to be right now. The team isn’t good enough to do anything substantial, but they also aren’t bad enough to tank. Do you trade away a few members of the old guard and rebuild? Maybe wait it out and hope the ship gets turned around? Some tough calls to be made by Detroit’s management. It’s another Wednesday in the NHL, so you know what that means: a supposed rivalry-filled schedule. Let’s see how that pans out. 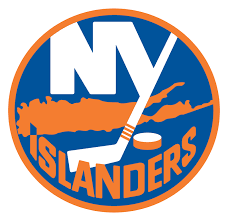 Tonight’s schedule starts at 7 p.m. with two contests (the New York Rangers at Ottawa [SN/TVAS] and Dallas at the New York Islanders), followed by Boston at Detroit (NBCSN) an hour later. Finally, tonight’s nightcap – Nashville at Vancouver (SN) – gets underway at 10 p.m. to close the game out. All times Eastern. I had half of today’s games circled on my schedule from the start of the season. New York at Ottawa: It’s a rematch of one of last season’s Eastern Conference Semifinals. In honor of NBC finally featuring a real rivalry – and what is arguably a bigger game than meets the eye – let’s head off to Motown. It doesn’t seem right that these teams are still in the playoff hunt considering they play in the same division that features Tampa Bay and Toronto, but such is life in the Atlantic Division. The team currently occupying that third division spot is none other than the 14-9-4 Bruins, who are a full three points behind a Pittsburgh team that would be on the outside looking in if the postseason started today. Don’t tell anybody, but Boston’s defense is quietly making a name for itself as one of the better corps in the league. Bruins fans witness their team allow only 2.74 goals-per-game, which is the seventh-fewest in the league. Led by the solid efforts of F David Backes (3.1 hits per game), D Zdeno Chara (1.59 blocks per game) and F Riley Nash (team-leading 32 takeaways), Boston has allowed an average of only 29.85 shots to reach its starting goaltender each game, the fifth-fewest in the NHL. That makes life pretty easy on 7-8-2 G Tuukka Rask, who doesn’t need all that much help to be exemplary at his job – he just needs rest. Now that Head Coach Bruce Cassidy is accepting the fact that Rask cannot start every game (Rask has started at least 62 games for the past three seasons and watched his save percentage drop) and playing 7-1-2 G Anton Khudobin more often, the 2014 Vezina-winning goalie is beginning to look like himself once again. Rask has earned a perfect 4-0-0 record over his last five appearances (he relieved Khudobin in Nashville last week for no decision), posting a .955 save percentage and 1.1 GAA in that time to elevate his season numbers to a .912 save percentage and 2.43 GAA, the (t)18th- and sixth-best efforts, respectively, among the 35 goaltenders with at least 11 starts. But we haven’t even gotten to one of my favorite things about this Bruins team: its penalty kill. Successfully defending 85.54 percent of its infractions, Boston’s PK ranks third-best in the league behind only Los Angeles and San Jose, some very good defensive company. This is where Rask has truly shined brightest. He’s saved 92.8 percent of all power play shots that make it to his goal, which is the most of any netminder with at least 15 starts to their credit. Of course, he’s also had the luxury of facing only 70 such shots all season thanks to Chara’s team-leading 20 shorthanded blocks. Meanwhile, the 11-13-6 Red Wings are trying valiantly to outperform everyone’s expectations, as they trail the third place Bruins by only four points. Unfortunately, it’s been an anemic offense that has held them back from glory, as they manage a fourth-worst 2.63 goals-per-game. If anyone in particular is to blame for Detroit’s struggles, it can’t be the second line – specifically F Dylan Larkin (4-19-23 totals) and F Anthony Mantha (12-10-22). They are the team leaders in almost every offensive department, but have combined for only two game-winners. If that’s not an an indictment on the rest of this offense, I don’t know what is. Additionally, the Wings also have D Mike Green making considerable contributions from the blue line, as he’s managed a decent 2-16-18 effort that is shaping into the best season of his three-year Detroit career. Knowing that Green, who is slated to be a free agent this offseason, is having a bit of a resurgence but has nothing to show for his career beyond being named to two NHL First All-Star Teams, it’ll be interesting to see if/when he’ll be traded. It is certainly possible in this division for the Wings to regroup and sneak into the playoffs, but it is looking more and more likely that won’t be the case. Green very well could be on the move at or before February 26’s trade deadline. If Detroit is going to win this game, it’s going to need its greatest weapon to be firing on all cylinders. Though the Wings struggle on offense as a whole, their power play success rate of 20 percent is actually the 11th-best effort in the league. They face a tall task in the previously mentioned Boston penalty kill, but I think Detroit’s best chance of finding a goal is while a Bruin is in the penalty box. The power play is Green’s specialty, as he leads the squad with nine man-advantage points. However, all of those are assists. Instead, I’d bank on Mantha and his team-leading five power play goals being Rask’s primary focus this evening. As long has the Bruins can keep Detroit’s two forwards under control, they should come away with a victory tonight. Behind First Star of the Game G Andrei Vasilevskiy‘s third shutout of the season, the Tampa Bay Lighting defeated the St. Louis Blues 3-0 at Scottrade Center in yesterday’s DtFR Game of the Day. For the Bolts’ second game in a row, Second Star F Brayden Point (F Tyler Johnson and F Alex Killorn) provided Tampa Bay’s game-winning goal. This one was struck with 45 seconds remaining in the first period. Johnson entered the offensive zone with the puck on his stick, but Third Star D Colton Parayko did a good job to force him away from the front of G Jake Allen‘s net. Johnson instead traveled behind the cage, moving from Allen’s left to right before passing from the left face-off circle to Point at the top of the zone. Point ripped a wrist shot through two St. Louis defenders that found the right goal post, but he collected his own rebound to squeeze a shot behind Allen and off the left post. Tampa’s two insurance goals weren’t struck until the third period. RW Nikita Kucherov (D Mikhail Sergachev) scored the first with 6:23 remaining in regulation, followed by Johnson (Point and D Victor Hedman) burying a wrister into an open net with 22 seconds remaining before the final horn to close out the game. Vasilevskiy saved all 32 shots he faced for the shutout victory, leaving the loss to Allen, who saved 22-of-24 (.917 save percentage). Home and road teams in the DtFR Game of the Day series are getting back into the holiday spirit and exchanging victories. With the road Bolts winning last night, the visitors have pulled back within 15 points of the 39-23-8 hosts.